Mostly, this is cooking from the hip. You can switch out spices and most ingredients per your taste and preferences, but below is the basic recipe. Be careful of the red onion. You only need one 1” slice to two avocados. It’s powerful. Feel free to substitute yellow or white onion. If you overfill the sandwich, it will spill out. Feel free to use a fork to pick up the spillage. This recipe is meant to be made and eaten the same day. If you want it to keep overnight, stir in a good amount of lime or lemon juice to keep the avocado from browning. Not too much, so all you taste is lime juice, but enough to keep the brown at bay for a bit. It will likely still brown up a bit, but it should be OK to eat the next day and not taste brown. If you don’t like almonds or dried cranberries, switch them out for what you do like. The basis of the filling is avocado and chicken, get creative from there. I enjoy this sandwich on toasted bread, but if that’s not your thing, don’t toast it. Get creative with what’s sitting in your cupboard. This is a great recipe to use up avocados that might be getting close to over-ripe. Feel free to serve this as a dip with chunks of crusty French bread or crackers. If want to keep overnight, stir in lime juice. 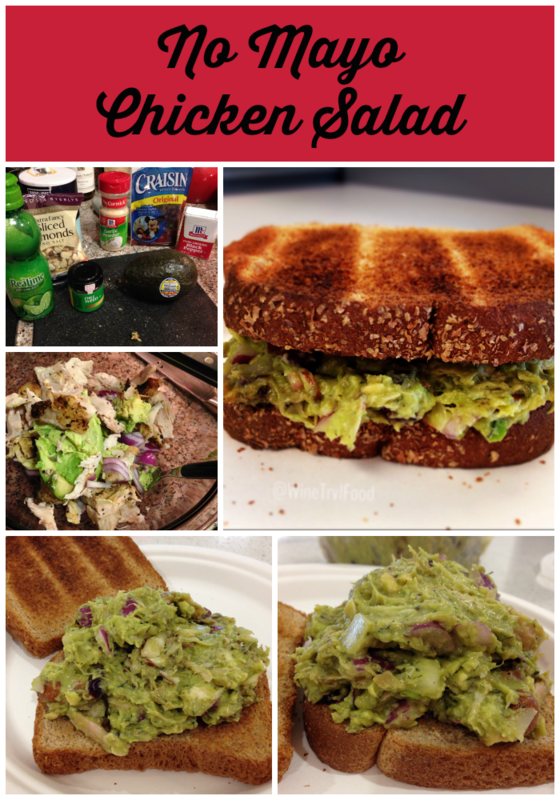 When you have leftover rotisserie chicken this is a great recipe to use. I enjoy how easy it is to change up based on what you have in your pantry.